If there is job security for someone like John Hopkins it’s because hospitals are increasingly having to make do with what they have. A maintenance mechanic with South Grey Bruce Health Services, Hopkins is continually called upon to make basic equipment repairs. That includes finding parts for aging beds at the four-site rural hospital. “I liked tinkering with things as a kid,” says Hopkins, including destroying several of his parent’s audio tape decks by taking them apart. 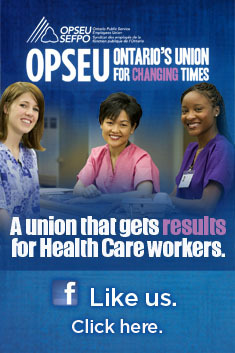 The fact that somebody like Hopkins is kept frequently “tinkering” says a lot about the state of Ontario’s hospitals. Years of funding freezes are taking their toll on both staff and equipment. Watch John’s story by clicking on the window above.